The first model 'à Tab' store, created for BBK S.A company, was opened in Gdynia in the shopping centre 'Riviera'. The target audience was a group of people, for whom cooking is a combination of passion, conscious choice, healthy lifestyle and joy shared with friends and family. 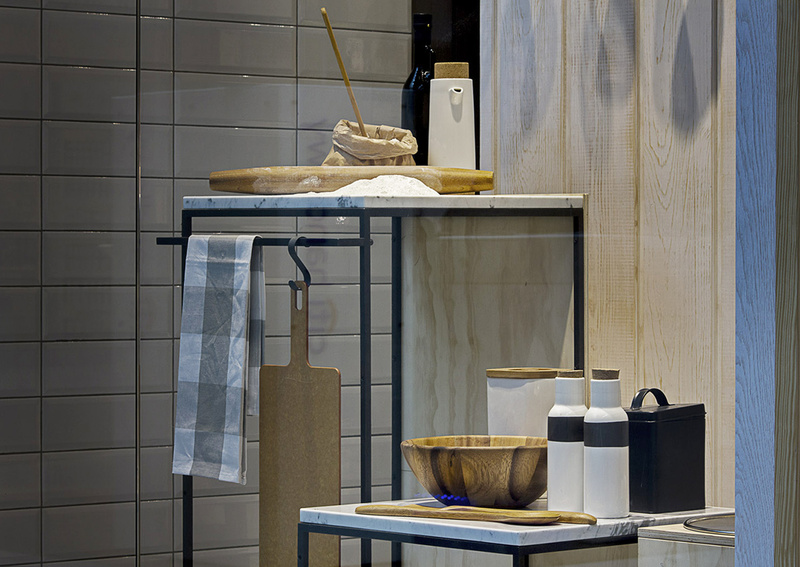 The 'à Tab' brand offers kitchen and dining room accessories and equipment. Studio 1:1 created a comprehensive design, the scope of which included an architectural design/sketch of the store, its interior design, including the shop equipement, shop window design as well as the logotype of the brand and basic elements of visual brand identity. The characteristic feature which differentiates the a'Tab store from its competitors is a wooden hothouse, located in the centre of the interior, 'an island of tastes' at which people will occasionally have a chance to watch cooking demonstrations by professional chefs and also assorted herbs placed in various locations to lend a special atmosphere to the store's interior.